SRS X88 is a wireless speaker by Sony from the same family of multi-room audio products as the impressive HT XT3 soundbase. It is one of three WiFi Bluetooth speakers in Sony’s latest range. The SRS X88 is one classy looking speaker. Sony calls its design Definitive Outline thanks to a thick black trim that runs along the edges of the speaker. This is enhanced further by eight touch sensitive buttons on top, which control input selection, volume and Bluetooth pairing. Tiny lights indicate which input is selected, while another on the front lights up when it receives remote commands. You can pair an Android device using the NFC touch point on top. Four short feet with rubber pads provide a sturdy base. On the back is a smattering of sockets by including two USB ports. You can stream music via Bluetooth. Sony’s LDAC codec transmits music with three times the data of regular Bluetooth, which means you can enjoy music at a higher quality if your device supports it. It is joined by ClearAudio , which automatically optimizes sound quality, while Sony’s S-Master HX digital amplifier technology keeps deformation from the door. You can connect the SRS X88 to your WiFi router via WPS or by connecting a LAN cable and going through your web browser, but the easiest way is to use the Song-Pal smartphone app. There’s plenty to admire, not least its punchy bass output. Kick drums and electronic basslines are delivered with pleasing heft. The SRS X88 is undoubtedly a talented performer, going louder than its modest dimensions would suggest and handling music with a sense of cultivation. Nonetheless, it is compared with wireless speakers such as the Crystal Acoustics Cuby 9 or the Samsung R7, the Sony offers a rather limited listening area. Walk around the room while it is playing and you lose treble clarity as you move away from the sweet spot. 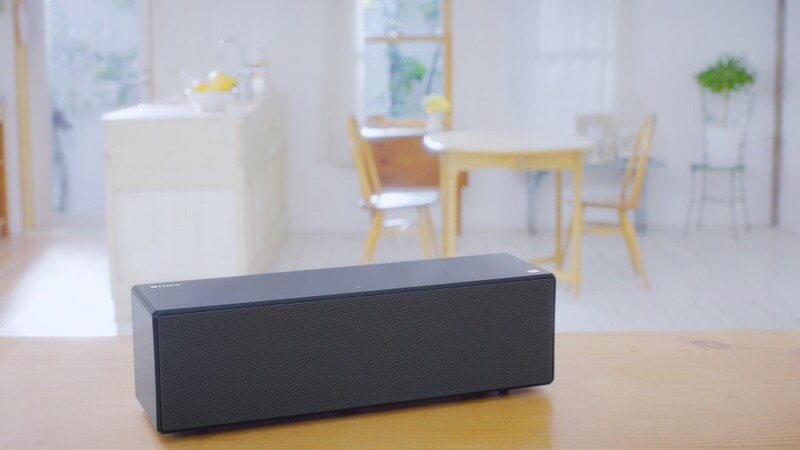 Sony’s SRS-X88 is an elegant, easy to use wireless speaker with a wealth of specialties.